Organisations that run from immovable properties tend to get isolated from the public and trustees begin to run the organisation as per their own will. My 10-year-old granddaughter Hrida innocently asks me: “Why was Gandhiji killed?” I have no answer. I have never seen Gandhi, but have seen the urn containing his ashes. His bones are still alive. Gandhi did not have a 56-inch chest. Gandhiji is not a mere statistic of history but an experience, a realisation. Today, I want to talk about Gandhian institutions. Gandhiji now needs to be released from the prison of these institutions because Gandhi was not a Gandhian. Gandhi himself was against organisations depending on permanent funds. This sowed the seeds of moral degeneration. Public organisations mean organisations run by the will, and funds, of the public. When donations stop coming from people, these organisations continue to run on the interest generated from the corpus fund. An organisation like the Gujarat Vidyapith has a huge corpus fund, which is totally against the way of Gandhian thinking. The venerable Narayan Desai was Vidyapith’s Chancellor but this fact may have escaped his notice. Vidyapith has excellent faculty, whose task is to provide basic education (“bunyadi taleem”) to youth as per the Gandhi-inspired ‘Nai Taleem’. Today, there is not a single school imparting this basic education. The government today is zealously running a cleanliness campaign, which was one of the subjects of ‘Nai Taleem’. Both ‘Nai Taleem’ and basic education have disappeared and nobody seems to be interested. As per UGC standards, teachers draw big salaries. But the vice-chancellor of the Vidyapith is not appointed by the governor, but by a management committee. What is surprising is that the Vidyapith has no influence on the people. The Vidyapith should have been at the centre of the process of nurturing. I once studied in a Gandhi-inspired basic education school. Jayaprakash Narayan along with Prabha Devi had set up the Mahila Charkha Sangh. Jayaprakash was a saint in the true sense but active in politics. Vinobaji (Bhave) was a mixture of both a politician and a saint. Vinobaji would advise Indira Gandhi; but never raised his voice when he saw (Jawaharlal) Nehru and Indira (Gandhi) do wrong. He would keep quiet. Today, there are more than 2,000 organisations in the name of Gandhi throughout the country, but they are almost inactive. These Gandhian institutions have miserably failed in attracting the youth. Take the example of the Ahmedabad-based Harijan Sevak Sangh. Its condition is pitiable. This institution has no impact on public life or society. It is said the entire land belongs to Sabarmati Ashram and the Harijan Sevak Sangh. Many Gandhians stay in its neighbourhood but do not speak out. It is also said that the 200-acre land of Sevagram is lying idle and there is no update on how it has been put to use. Vinobaji had garnered 48 lakh acres of land through the Bhoodan movement. But no one has carried out an audit of that land. Even in Mumbai, Cora Centre and Khadi Gramodyog have properties worth crores. Whatever activities go on there, nothing reaches the people. Mumbai’s Mani Bhavan runs on corpus fund which again is not in sync with Gandhian ethos. Foreign tourists come and conduct activities for children and it continues to run on the Gandhi Smarak corpus fund. My concern is simple: These institutions, run in the name of Gandhi, have ceased to have any influence on the people. Gandhiji was a lawyer but he quit legal practice. Today our country is run by lawyers. Charles Dickens rightly said that when the number of bad people and thugs grow, good lawyers are born. It was my Gandhian thinking that motivated me to return the Sahitya Akademi Award after the murder of M M Kalburgi, Narendra Dhabolkar and Govind Pansare. The Congress has conveniently marginalised Gandhi. Today the power of the word is distressing those in power. Nobody is ashamed of telling lies. Not only that, they are not even ashamed when caught red-handed while lying. Gandhiji used to experiment with truth; and today’s rulers experiment with lies. As a common man I am confused. I am secular and have faith in the auto-rickshaw, cheque book, farmer, clock and, of course, Gandhi. The past is frozen like ice in our minds. 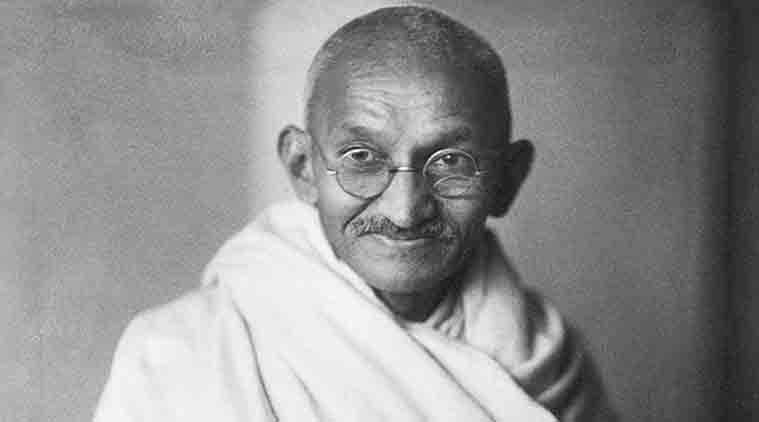 In his lifetime, Gandhi was like a flowing river. Today, he has been frozen in statues. The ice melts a bit on his birth and death anniversaries, but it freezes again. The past of ice is water and so is it its future. Gandhiji is eternally flowing water and we should strive to save this from stagnating as ice.